I feel like the book gods have blessed me this year. Six months have passed now and I’ve read nothing but good books. Some fabulous, amazing, I’ll-love-you-forever books too. I’ve got an awesome reading streak going and I’m very much hoping this continues onto next half of 2015. I fell hard for these books, you guys! I highly recommend adding them to your to-read! I know almost half of the titles on this list are upcoming releases out this fall and I’m so so excited for everyone else to pick them up when they’re out! I’ll definitely be writing a view as their release dates approach so watch out! 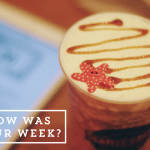 How has your reading been these past six months? 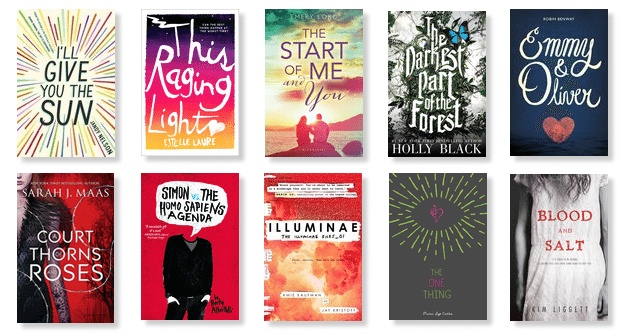 What are some of your 2015 fave reads so far? Had nothing better to do over the weekend so I just stayed in bed and marathoned a few books. It was fun! Yeay for having two days off, Kay! Spending quality time is important- I’m hoping to hang with family and bookish friends over the weekend too actually so I guess I won’t be able to get that much reading done after all. YES TO SIMON VS AND THE DARKEST PART OF THE FOREST!!! They’re on my mid-year list too. You already know how I want to read I’ll Give You the Sun and I think I’ll borrow Dianne’s Illuminae. But it’s MASSIVE. I’m happy that you’re having an awesome time with your books, Haze! *high five* I seriously hope you’ll get to read I’ll Give You The Sun soon! Illuminae is pretty massive but only because the inside are formatted kind of graphically so there are some pages with only a few sentences. It’s unique that way. And the story is just so WOW! 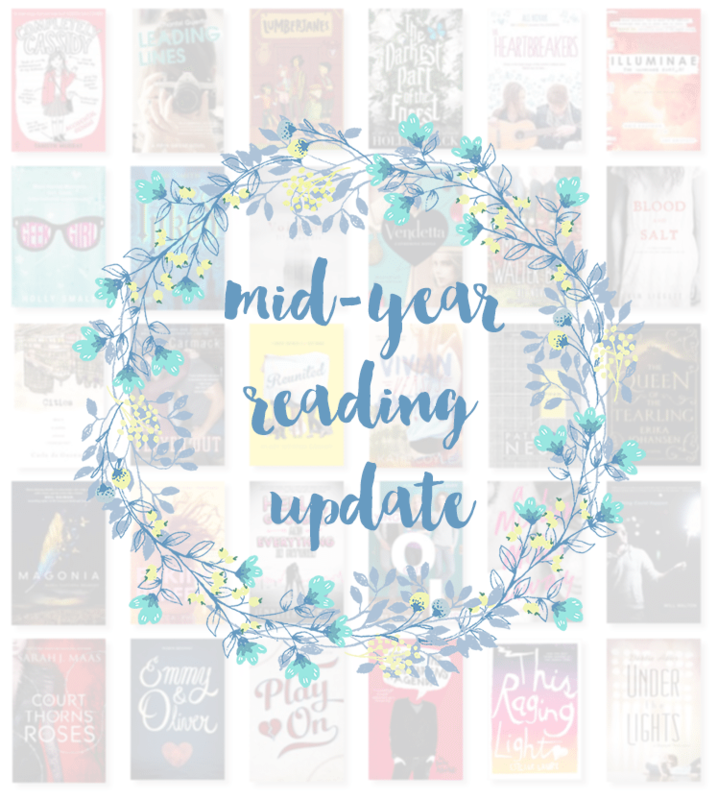 The only book from your favorites that I’ve read so far is ACOTAR, but I’m definitely planning to snag a copy of Emmy & Oliver and The Start of Me and You sooner than later. I’m so glad to hear that! They’re such amazing books! Yay for an amazing reading year so far for you! It’s so great that you’ve read mostly 3 star books and up, and it bodes well for the reading year to come for you. Here’s to more amazing reads! Girl, 5 books in two days?? That is FANTASTIC. That’s making ME really want to try doing a readathon! I’ve got a ton of library books that are due soon, and I need to get as much read as possible before I have to start doing things like applying to college, ugh. Is it sad that I’ve only read one book on your list of favorites so far?! ACOTAR really was great, even if I was slightly underwhelmed. I’m really excited to be picking up The Start of You and Me and Emmy & Oliver soon! The fact that they’re on your favorites list makes me even MORE excited. I’m so jealous you’ve read so many books so far! I haven’t been reading since the last month because I was so preoccupied with school it’s annoying :-( I see that Simon Vs made it to your 2015 faves. It’s one of mine too ah! I envy you that you got to read a lot of good books. I’ve only been reading subpar books, and it makes me sooo sad because I want awesomeness! Everything feels so unoriginal. I’m so excited to start This Raging Light and Illuminae. I WANT THE MOOD TO HIT ME RIGHT NOW. I think my absolutely favorite read so far (that I can remember) is Made You Up! I thought I wouldn’t like it because romance! But it’s just so wonderful. Alex, as a character, is so different than everything I’ve ever read. I am soo excited to read Simon Vs and ACOTAR! I didn’t enjoy The Darkest Part of The Forest as much as I thought I would, but I’m glad you enjoyed it! My reading so far this year has been awesome! All of the books I’ve read so far this year I have enjoyed greatly. There have only been a couple that I was like, ehh, but didn’t hate completely. But then again, I’m a pretty easy to please reader. My favorite read so far this year was either the Throne of Glass series (I can’t pick just one) or Cress. I am actually ahead of my goal, so that’s been nice. But I can’t tell once school starts up again in the fall, I am going to get really far behind! Great update! Dang girl you’re on a roll with your reading! I think I only read 14 books out of my 100 challenge goal hahahaha. I really NEED to catch up! I’m really glad that you loved Emmy & Oliver. I haven’t read it yet but I do have an ARC so I’ll jump on that soon whenever I feel like reading a contemporary. I think my favorite so far this year is The Cage, Percy Jackson series (I’m binge reading the whole series right now and it’s just amazeballs), aaand I’m probably forgetting a bunch of books. How awesome to have so many 5 star reads in just the first half of the year! I am *so* stingy with my 5 star ratings. Most books I love are 4 stars… a book has to be an instant all-time favorite to get 5 stars from me. I’ve had 7 so far this year and that is unheard of for me! (I think I had 2 in all of last year. Ha!) 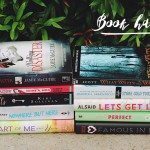 Four of my favorites this year have been by Colleen Hoover – I just adore everything she writes. I’m really tempted to read A Court of Thorns and Roses! I usually read only contemporaries but I’ve seen so many great reviews for ACOTAR that I might have to give it a try. Ooh, so exciting that some of your favourites aren’t even released yet, that shows how great the rest of the year is set to be, publishing wise. I’m desperate (or very, very keen) to read The Darkest Part of the Forest- it sounds intriguing and wonderful- and I really hope I get to that before the year is out. I should totally make that a goal. And SIMON! That was a fantastic read.